There are also other unfortunate stories and tragedies buried in the Protestant Cemetery and waiting to be shared. There were many governors who died in Penang because of malaria, yellow fever and other tropical fevers. A few of them even have their cause of casualities written on their tombs. There was one who was murdered by Chinese mobs and another committed suicide due to immense pressure from his superior. That was the first recorded suicide by a British officer. Clement adds that a large number were sailors who died on the ship and then buried in the cemetery. Many of whom were Americans, Armenians, Australians, Chinese, Dutch, English, German, Irish and amounted to over 10 nationalities within the historical ground. Much of Clement’s mission in wanting Penang's cemeteries to be recognised as a monument heritage comes from an unfortunate fate of cemeteries in other countries that were torn down to make way for development. In 2012, Bukit Brown Cemetery in Singapore was on the verge of being cleared for a four-lane road across the cemetery. As part of the conservation, an independent group called ‘Brownies’ is formed to educate the public on cemeteries as a ‘living museum of history heritage’ through free cemetery tours in Singapore. 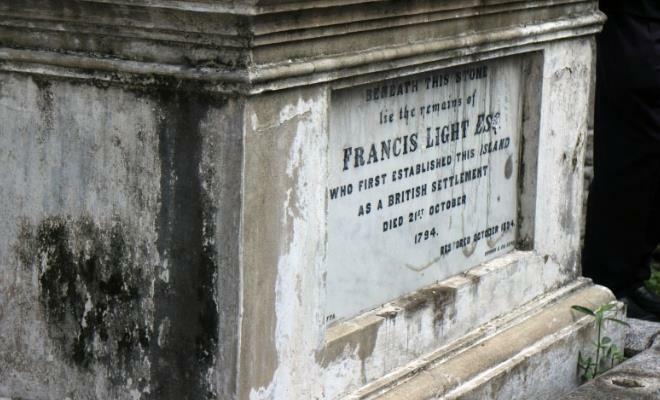 As part of the Last Friday, Saturday & Sunday of the Month programme, the Francis Light Cemetery Tour is held every last Sunday of the month from 2.00-2.45pm at the Protestant Cemetery on Jalan Sultan Ahmad Shah. 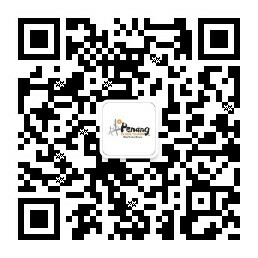 The tour is free for anyone with advance registration. For more information on the cemetery tour, kindly contact Tourist Information Centre at 04-263 1166 or visit our Facebook page.